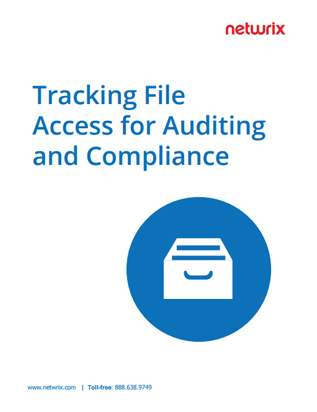 File access auditing is critical for organizations that rely on files to maintain business-critical data such as accounting records, intellectual property or patient data — in other words, nearly every organization today. Unauthorized or otherwise improper changes and access to files, folder structures or permissions threaten both data security and regulatory compliance. This white paper explains why continuously monitoring file access events is critical and explores your options for file access auditing tools.